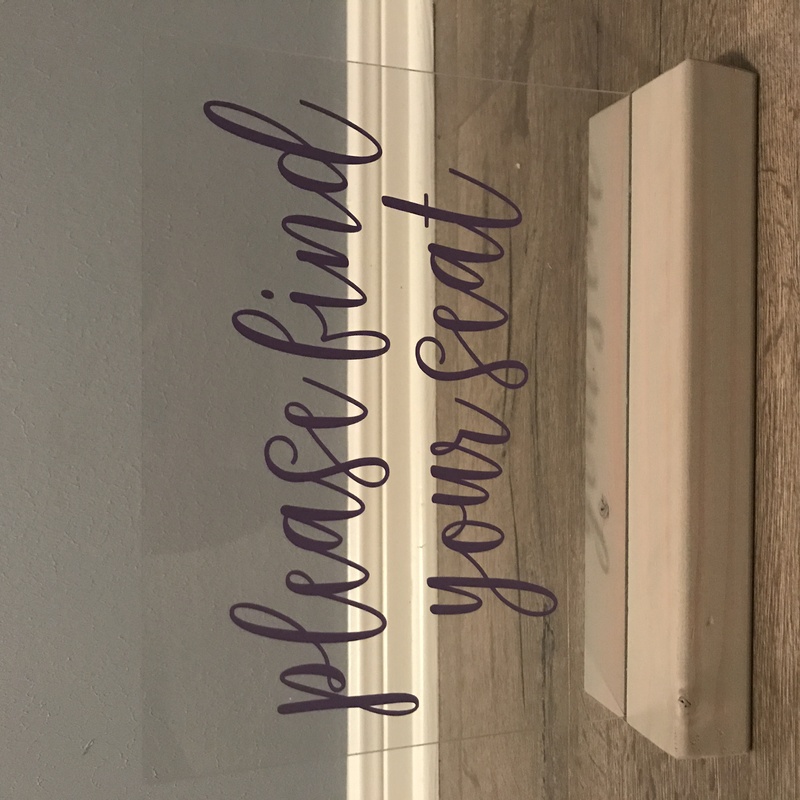 Beautiful acrylic sign with lavender writing. The wood is sun-bleached with hints of gray. I used this design for all of my reception signs, they turned out to be very lovely.